Noodle King Restaurant is a classic example of a book not to be judged by its cover. The exterior of the restaurant is certainly lacking, but they make up for it inside. They have a large and exotic menu for such an unassuming spot, and you can get traditional stir-fried Chinese-style dishes, or more unusual offerings like congee and other Hong Kong specialties. Prices are quite reasonable, and you’ll always find Noodle King Restaurant exceptionally clean and welcoming (even if the exterior has you thinking twice). 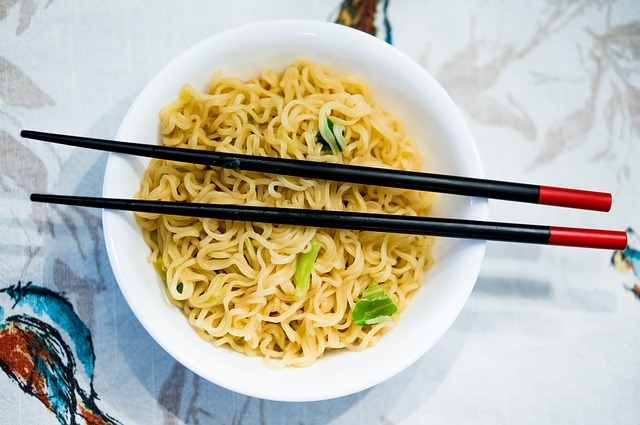 Popular choices include salt and pepper tofu, Hong Kong fish, and chicken with leeks, though they also have a wide variety of namesake noodle dishes both wok-fried with sauces and meat or in plentiful noodle soups. Stop in for their weekday lunch specials that include a large lunch portion and steamed jasmine rice, and egg roll or your choice of soup for under $8. Noodle King Restaurant opens daily at 11 a.m., and you can find this unexpected winner on New Hampshire Avenue in Silver Springs.